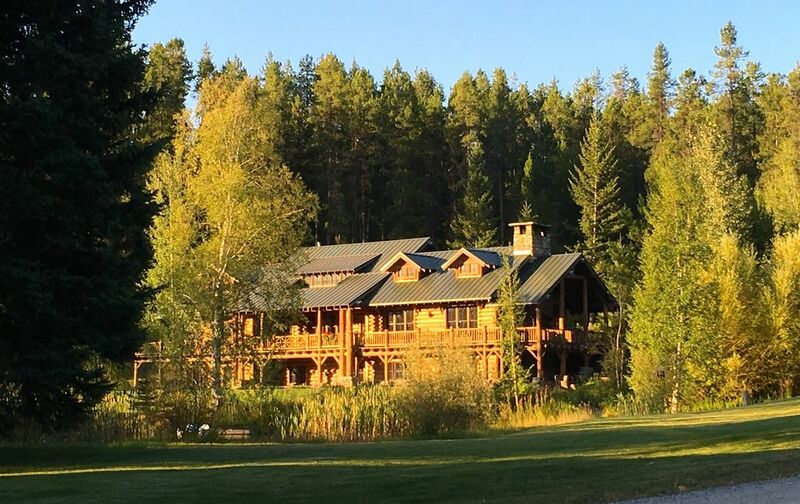 Best of the West: Privacy and Seclusion on a 480 Acre Mountain Ranch. Luxurious Lodge and Charming Cabin are minutes from the west entrance to Glacier National Park. Can be rented separately, or together for a larger group. Perfect for corporate retreats, cross-country ski vacations, family reunions and weddings. A charming outdoor pole Barn is also available to Green Valley Ranch renters who need additional entertaining space for wedding receptions or family reunions. Glacier Country offers Activities for All Seasons. Hiking, fishing, camping, rafting, sailing, riding and golf in summer. Enjoy our groomed classic cross-country ski trails trails in the winter. Downhill skiing at Whitefish Mountain Resort. Caretakers on premises to assist with logistics, recommendations and other concierge arrangements. Contact Us for Current Lodging Discounts! For more information, please visit the Green Valley Ranch Website listed below. Visits: Please call caretakers to make an appointment to see the property. My maternal grandparents homesteaded this property in the early 1900's. It was sold after WWII and operated as a dude ranch, until we were able to repurchase it and bring it back into the family over 10 years ago. I have spent every summer of my life at my other grandparent's summer home at Lake McDonald inside of Glacier Park and know that the area's beauty and recreational possibilities are endless, in every season. Instant access to the most beautiful of all the national parks! At Green Valley Ranch, there are 480 acres of wilderness to hike, ride in, cross-country ski or snowshoe. Proximity to downhill skiing at Whitefish Mountain Resort and its fine dining and shopping. Family legacy property. Breathtaking scenery out of every window, large family spaces but rustic, luxurious cozy lodging, gourmet kitchen and full size dining area, music and an extensive library, complete peace and seclusion. Main floor accessible with fully-equipped master bath. The Lodge itself is sensational with every comfort provided. Our family of 12, ranging in age from 6 to 79, thoroughly enjoyed every moment. The caretaker, Dianna, is gracious, informative, is always there to answer questions, provide advice and was a great entertainer for the group. Sports equipment, board games, and food staples are in abundance. The dining room table easily accommodated our entire family. In all, Green Valley Ranch is spectacular for all ages. We LOVED having you at GREEN VALLEY RANCH!.